The first federal safety standards finally came in place in 1971. Since then, numerous crash tests and other research has fostered a huge market of safer car seats designed for newborns to middle-schoolers. 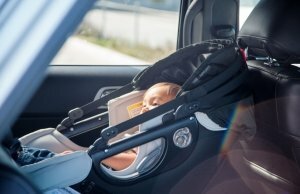 New studies at the University of Sheffield (in South Yorkshire, England) may contribute even more data to help manufacturers design safer car seats. Advanced 3-D imagery is helping researchers discover the relationship between children’s bone strength for different age groups. Shouldn’t they know this already? Until recently, researchers couldn’t accurately measure bone strength in the newborn to 3 yr. old range. This is partly due to children’s inability to communicate when they’ve had injuries and because their bones grow rapidly during that time, making it difficult to get accurate data. Crash tests until now have relied on scaled-down adult crash dummies to simulate children in car seats. Since children’s bones are still growing and not fully formed, their bone structure won’t react the same as an adult’s in a crash. 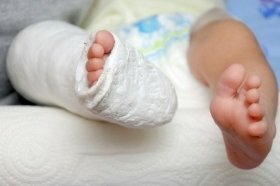 Approximately 25 % of injuries in children are bone-related. Car crashes are still one of the leading causes of injury and death in young children. Therefore, solid data on how children’s bones grow and strengthen over time could be a great asset in future car seat designs. With the help of CT scans (x-rays that take detailed pictures from different angles), researchers developed computer models of bones. They were then able to create different scenarios that showed how varying amounts of force can affect the virtual bones by bending and twisting them until they reached the breaking point. 3-D imaging is completely non-invasive. Bone samples that were previously difficult to obtain are no longer needed, so research can move forward at a much faster pace. Beyond car seat safety, this technology could help doctors make better diagnoses. If this data eventually maps bone strength by age range for every bone in the body, doctors can more easily determine how a break occurred. Especially in non-verbal children, it’s often difficult to know whether their injuries are accidental, inflicted or related to a bone disorder. All of this research is part of the Insigneo Institute for in silico Medicine, a much larger collaboration between over 140 medical professionals and scientists. Computational (in silico) medicine is helping them to form simulations of all the systems in the human body. They hope to someday use this directly in medical practice to better diagnose and treat a wide array of diseases and injuries. Time is of the essence in many medical cases, and with computer simulations, precious minutes could be saved in life-threatening situations. Currently, the children’s bone strength tests have focused on the femur (thigh bone) of newborns through 3-year-olds. Researchers will be expanding their studies to other long bones such as the tibia to build a database that represents bone strength for all age groups and to test more complex injury scenarios. What does this mean for car seat design? Similar technology is already in use for crash testing to develop safer vehicles and car seats. Along with the bone strength data, car seat manufacturers may be able to improve designs to better protect the most vulnerable bones in children of varying ages. Car seat design has changed rapidly over the last few decades. Advancements such as LATCH systems have saved thousands of lives. Technology to detect when a child is left in a car seat could help prevent hot car deaths. Already, several mobile-integrated accessories are available that send alerts to parents when their child is left in the car seat. Some car seats such as the Evenflo SafeMax and vehicles such as the GMC Acadia are integrating rear-seat reminder technology into their products. This new bone data, along with other advancements like rear-seat reminders, will ensure that future car seats are even safer than they are now.